There’s still five days left to take advantage of our 20% Holiday Discount, but you must call before closing time on Friday December 22, 2017! Start the New Year off right by wrapping up any unfinished legal business with your friends at the Piatchek Law Firm. Act now, and you can get the best rate on forming an LLC and make 2018 your best year. Or, why not give your family the gift of peace of mind? By properly setting up your Estate Plan, or other essential financial services, such as Wills, Trusts, and Health Care Directives, you can secure your family’s future and save money at the same time. Simply give us a call at (417) 882-5858 and say you want to use the 20% holiday discount from this newsletter! But don’t let the clock run out — call before December 22, 2017! What grandparent wouldn’t want to help their grandchildren when they are in trouble? Unfortunately, scammers have been taking advantage of grandparents’ goodwill for years, but the classic late night phone call scam is back with a new twist. Typically the con starts with a phone call, usually in the middle of the night, to catch an unsuspecting grandparent confused and off guard. The scammer will say something like “Hi Grandma — can you guess who this is?” hoping their victim will tell them which grandchild they sound like off the bat. Next, they will start telling a story about how they’re in some sort of trouble, and need Grandma’s help. Common stories include car repairs, lost or stolen credit cards, or medical emergencies. Clever scammers may incorporate additional details, such as birthdays, sibling names, geographic and workplace info — basically anything that can be skimmed from a Facebook profile to add legitimacy to their story. The newest twist is that the scammers are posing as smooth talking lawyers claiming to represent their client who has been locked up for a crime and is in need of bail money. We want to share this info with you now, because the Grandparent Scam happens most frequently around the holidays and during periods of increased student travel time, such as Winter/Spring Break. Another component to the scam is the caller insisting that Grandma must keep their assistance a secret from mom and dad — which is never a good sign in any situation! The best way to protect yourself (and your parents/grandparents) from this hoax is simply to be aware of the phenomenon, and if you’re really concerned, consider agreeing upon a secret password to use with family in the event of a financial emergency. We wouldn’t want you to hangup on a loved one during their time in need, a but a healthy dose of skepticism could go a long way in preventing a crime. If you think you have been the victim of such a scam, report the incident to the police. If you’re ready set up your LLC, you’ve come to the right place. Our expert Business Law attorneys know how to navigate the business formation process in Missouri. We offer a free consultation for LLC creation, via phone conference, internet conference, or in person at our office. Plus, if you call before Friday December 22, 2017 you can apply the 20% discount from this newsletter — a pretty smart business move. As a full service law firm, our attorneys can assist you with setting up a range of business entities, but LLC’s are a popular choice for many good reasons. If you are unsure how best to structure your new business, we can help you decide during your initial consultation. Can You Legally Strap a Christmas Tree to the Top of Your Car? It depends how well you tie it down — and how spirited your local officer is feeling. In most states, drivers are required to maintain full visibility of their car’s surroundings. This means you’d better keep the windshield, rear view, and side mirrors clear of any foliage. Police in Sudbury, MA made waves on social media earlier this week when they posted a photo of a jolly driver they pulled over. The man’s minivan was nearly fully engulfed by a giant Christmas tree. Fortunately, the officer gave him a warning, helped him fasten the tree more securely, and escorted him home, all in the spirit of the holidays. Get your Christmas tree netted before leaving the lot to make it more manageable. If it’s going on the roof, the trunk should be facing front. Both will help reduce wind damage to the foliage. Make sure to select a tree that will either fit inside your cargo area or, if you have a roof rack, on top of your roof properly. Also ensure that you have enough rope or cord to wrap around the tree and secure it to the roof rack or to cargo hooks. Drive slowly and avoid the highway, especially if you’re not used tohauling heavy objects on your roof. 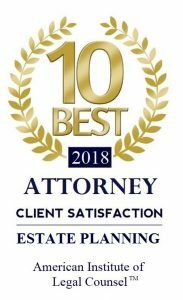 At the Piatchek Law Firm, we help our clients navigate some of life’s most difficult questions, including those related to end-of-life planning. The purpose of advance health care directives is to put your wishes in writing, so that your family members do not need to make these difficult decisions for you. This is an unpleasant line of questioning, but answering the hard questions (in writing) keeps your family members from having to answer for you. They won’t need to assume what your decisions would be. Instead, they will simply have to see that your decisions are enforced.